In the midst of the serious financial crisis, a dramatic drop in living standards and the labor market dealing with an army of unemployed, the Croatian citizens have done an exceptional gesture: on their own accord, and in less than a week, they raised a million Dollars to cover the medical expenses for a 5-year-old girl who is seriously ill. Her name is Nora Šitum and now everybody in Croatia knows her. She fell ill with acute lymphoblastic leukemia two years ago. Three times she underwent wearing therapies in Zagreb’s best hospital: her conditions had briefly improved, but then her terrible illness kept coming back. Since the doctors in Croatia could no longer help her, her only hope was to try an experimental treatment at the Philadelphia Children’s Hospital in the United States. However, the Croatian health system does not cover costs of experimental treatments. The girl’s Mother spoke to the American hospital and was told that costs for treatment would reach the dizzying amount of 575.000 Dollars. 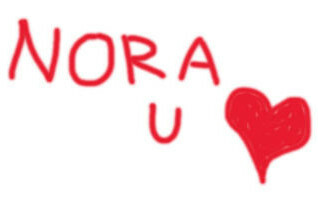 Clinging to a glimmer of hope, Nora’s Mom turned to public opinion, releasing a dramatic letter through various social networks. The story of little Nora and her self-encouragement - much like a fierce lion - soon flooded the media. No one could remain impassive in front of the girl’s cute face and her sad smile. These immediately triggered a humanitarian action involving thousands and thousands of citizens. Most people donated approximately 1 Euro, by calling the dedicated humanitarian phone number. A lot of people, though, donated much more. Among those, music stars, sports athletes and famous actors. In just a few days, the amount required was reached and Nora’s Mother started packing to fly to the American hospital. But there went the shock. Contrary to what had been said at the beginning, the hospital stated the 575.000 Dollars were no longer enough to cover for Nora’s treatment. Costs now reached 830.000 Dollars. The Croatian public opinion then split: some staunchly supported the idea of keeping raising funds until the amount required had been reached, others sent gross and threatening mails to the American hospital. They blamed its Management for “unprecedented” greed and lack of feelings, accusing them of wanting to make money out of other people’s misfortune. Some media also partook in this mood, publishing pictures of the luxurious interiors of the hospital and raising doubts as to whether its opulence might hide the questionable competence of the hospital’s doctors. Through a Croatian daily, a spokesperson for the Philadelphia clinic complained about the avalanche of rude messages sent to her e-mail address. A noble action, which highlighted the benevolence of thousands and thousands of people, almost backfired because of a few hundred. Unsettled and worried, Nora’s parents had to make a public statement to stop the protesting. Those in favor of fund-raising, though, were able to reach their objective. They managed to raise even more than what was necessary: 5.3 million Kunas, a million Dollars! The State contributed as well: the Ministry for Finances stated that the Government would pay the VAT on the donations collected over the phone. According to a Croatian law, in fact, VAT is to be paid on donations via phone calls. And since the VAT rate is at 25%, this means that 1 Kuna is paid to the Coffers of the State on every 4 Kunas collected. Little Nora left for the USA last Thursday. The doctors have already performed the first treatments and the Croatian public opinion is anxiously following the news coming in from America. The economy stinks, but we do not! The rare example of civil solidarity has brought Croatians together, tired of the numerous corruption scandals of their politicians. The known writer and activist Slavenka Drakulić has stated that this spontaneous action from the citizens could be useful for Croatian politicians as a model and a principle that can ‘activate an incredible source of positive energy and good will’. Unfortunately, though, Balkan politicians seem to function better when they trigger negative feelings in people. It is, thus, not out of line to remark that the fund-raising to cure the sickness of a 5-year-old girl was successful only because politics was left out. ‘The Croatian citizens have stood out and can reasonably feel proud, because they have reached a noble objective by committing together. Really, if our economy is scum, it does not mean we are!’. This is how Slavenka Drakulić described the action of the citizens who, in under a week, raised a fantastic million Dollars.